The Contractor Kit from PipeFuze is a polymer based underground pipe repair injection system which was designed to repair plumbing (suction or pressure side) lines without having to cut the concrete, asphalt or dig up the line. Works from ½ inch lines to 4 inch lines. The Contractor Kit is intended for regularly repetitive residential use. Are you supplying your clients with a solution to leaks on a regular basis? 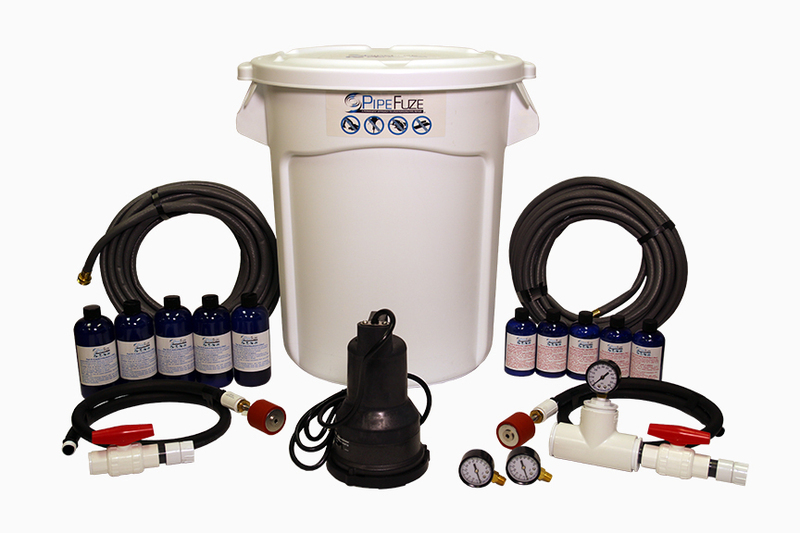 The Contractor Kit comes with a larger pump than the homeowner kit to supply those multiple uses without concern. The hoses are heavier to ensure that back of the truck transport does no damage and the kit includes three pressure gauges for multiple uses. For the contractor that does various residential jobs, the kit is applicable to uses including swimming pools, irrigation, home radiant flooring systems and non-potable residential type applications. Refills are as easy as clicking online and ordering refill kits. We’re here to help keep you working.